I believe this was the day that it was time for me to see my Dentist for my wisdom extraction. It was quite warm that day, so the snows were starting to melt. 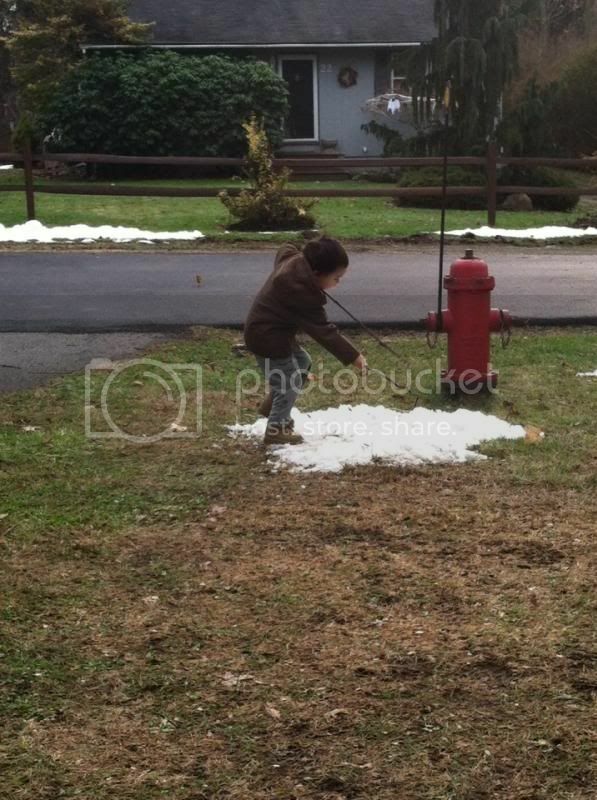 And so my son was too excited to go outside and play with the snow. There you go! 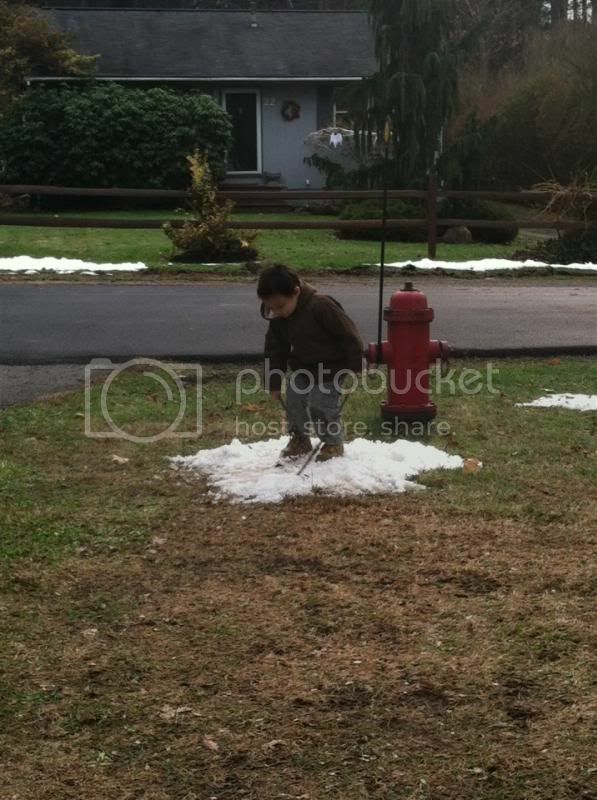 It is physically seen that he enjoys jumping on the snow left right on our drive way. After a while, he was showing me how to chopped the snow then I noticed that his pants were wet and dirty. At least they had fun with the chop of snow. Haha! That is fun, I honestly want to do that myself, loL! He look so engrossed in digging the snow. Kids can endure cold more than adults eh? Ah, let him be wet and dirty, he's having fun! Seem like winter this year is not as harsh as last year. Am i correct, Nova? Snow here will be a bit late as we expect it. For now, cold breeze and wet days will simple fill in our winter.